Marta Springer (‘19) drives the ball against Wheaton College on Sept. 15. Luther lost 1-0, repeating the game they had against Wheaton in the 2017-18 season. The Luther Women’s Soccer team lost 1-0 to Wartburg College on Oct. 13. The final score was 1-0, giving Luther a record of 3-2 in the American Rivers Conference and an overall record of 3-7-3. Luther’s defense stopped eight Wartburg shots on goal throughout the game, only allowing one shot through during the 28th minute. The Norse were unable to respond. Of their nine shots, none were on target. In the end, the Norse lost a close game to their competitors. While the game may not have ended in Luther’s favor, according to defensive center midfield player Lizzy DePrenger (‘20), the loss was not entirely negative. Luther’s Norse and Wartburg’s Knights are known to have a bit of a rivalry when it comes to athletic competition. According to current team manager Hannah Dodd (‘21), this rivalry does not affect the team too much. 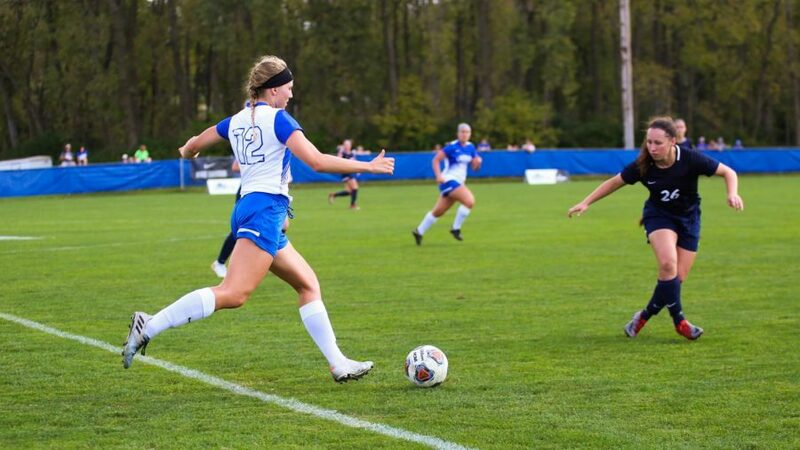 According to Head Women’s Soccer Coach Russ Schouweiler, the women have faced some exceptionally tough competition this year, but he values the difficulty of close games that only helped the players improve. According to Schouweiler, as much as the Norse want to win every game, that is not their overall goal. Hannah Dodd (‘21) kicks the ball in a game against Buena Vista on Sept. 29. Luther won 2-0. Since this tough loss, the Norse have gone on to win their two most recent conference games. Dodd hopes to continue this streak as the season comes to an end. After the loss to Wartburg and their updated conference standing, the Norse were poised for a fourth place tie. 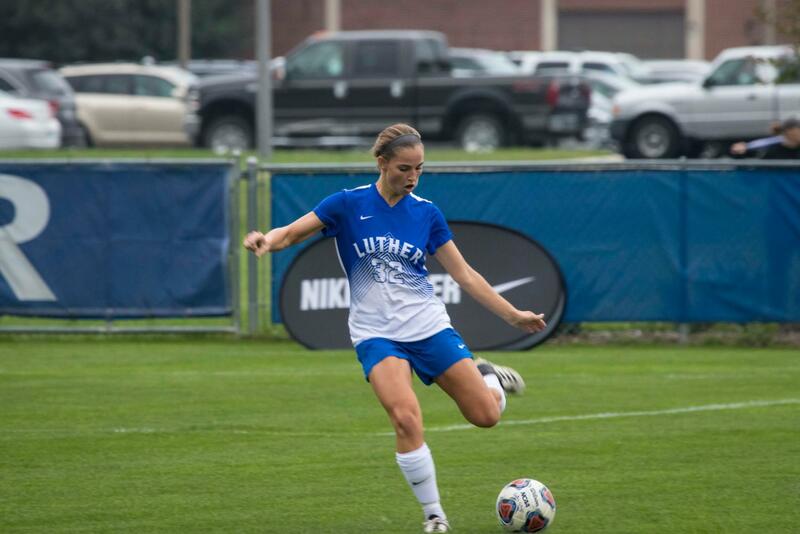 Luther secured a 1-0 victory over the University of Dubuque on Tuesday, Oct. 23. The winning goal came on an assist off a corner kick from Sommer Stevens (‘19) and a goal by Marta Springer (‘19) in the 12th minute of play. Goalie Kennedy Bergren (‘21) blocked a penalty kick from Dubuque, ensuring the shutout and the win. With the victory, the Norse locked their position as third place in the conference as they now have a 4-2 standing. The first round of the ARC Tournament will take place on Saturday, Oct. 27.